The Jerry3 is Wiko’s latest budget smartphone, a €90 (~$105) device that compromises on system performance with its low-end hardware and no LTE radio. Find out in this review what to expect from the Wiko Jerry3 and how it compares against the competition. 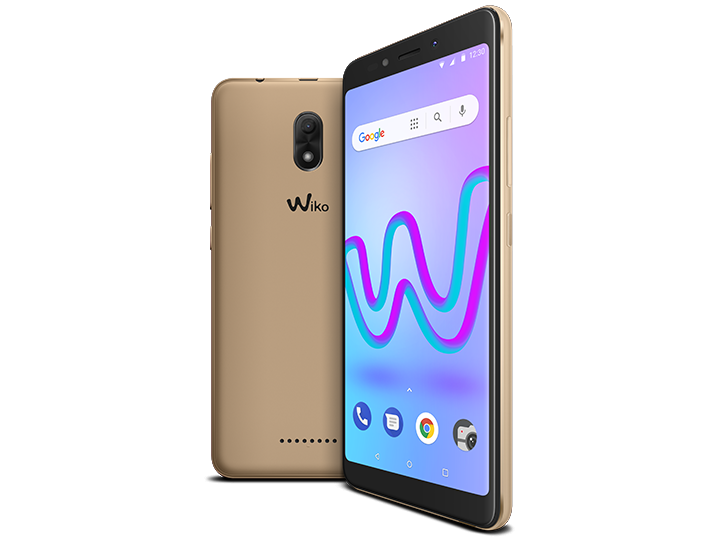 Model: The Wiko Jerry 3 is an entry-level smartphone that runs on the Android Oreo GO Edition. Announced in April 2018, the Jerry 3 is the latest phone in the Jerry Series by the Wiko brand. The phone succeeds the Jerry 2, which was launched in 2017, but has only a few new features when compared with its predecessor. Spec-wise, the Wiko Jerry 3 comes with a 1.3 GHz MT6580M (MediaTek) quad-core processor with a 32-bit CPU architecture and 1 GB of RAM. The usual budget phones come with only 8 GB of internal storage, but this phone has built-in 16 GB of storage. Sure, it may not be enough for the average user, but it also comes with a microSD card slot that supports cards with storage of up to 64 GB. As with most entry-level smartphones in the market, the Wiko Jerry 3's battery capacity is a little underwhelming. The phone is powered by a 2,500 mAh battery pack and without any fast-charging technology. However, due to its small capacity, it should only take less than 3 hours to charge the battery from 0 % to full. It is also disappointing to note that, like its predecessor, this phone does not come with a fingerprint sensor. Screen-wise, the Wiko Jerry 3 comes with an IPS FWVGA+ 5.45'' (widescreen 18:9 format) immersive screen with thin bezels. Similarly with the Jerry 2, the relatively large screen comes equipped with the IPS technology and offers a medium resolution of 960 x 480 pixels. Next, let's talk about the camera functions. The Wiko Jerry 3 has the same 5 MP camera as the previous Jerry phone. It is capable of shooting in Full HD at 30 fps, and it also comes with the usual HDR and mode options like the Panorama, Night/Lowlight, and Beauty modes. Native filters are also available, and that includes presets for Sunset, Night, Landscape, Beach, Snow and even an Auto mode. Want something more professional? More customizable settings like shutter speeds and timelapse mode are also made available natively to the user. Also, for those who like to take selfies, the front camera comes with a 5 MP lens with a fixed focus, just like the Jerry 2. As for its network connectivity, the Wiko Jerry 3 is a 3G smartphone. So those who prefer to run on the 4G network should take note of this point before purchase. Other than that, the phone comes with other standard connectivities: WiFi, Bluetooth, 3.5mm jack, micro USB port, and A-GPS. And like the rest of the smartphones from Wiko, the Jerry 3 has a dual-sim slot. Most budget entry-level phones are usually fuss-free and come in single color option only. However, the Wiko Jerry is 3 is available in four colors: Gold, Red, Black, and Green. As an entry-level phone, the Jerry 3 is more than adequate for the casual users, and when compared with other phones in a similar price range, the Jerry 3 can be a good and wise purchase. 63.75%: Such a bad rating is rare. There exist hardly any notebooks, which are rated worse.